Provide a VOICE. Gain powerful INSIGHTS. Manage best practices for IMPROVEMENTS. Contact sherri@bcgdata.net to learn about pricing, including bundling options. Why choose BCG Research to administer and manage your resident and employee surveys? Approved vendor for CoreQ surveys. Currently serving over 170 facilities. Customized surveys and reporting to suit your needs. Confidential and ease of distribution. Benchmark results to compare state-wide facilities. 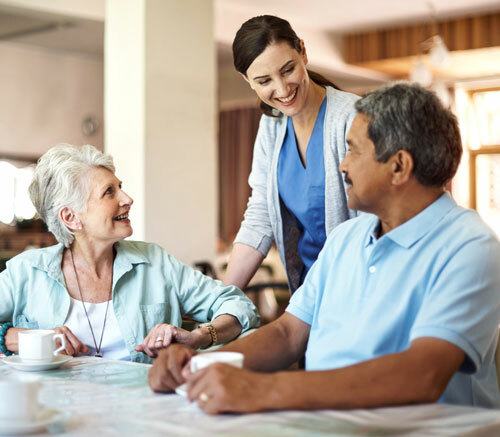 Short Stay Resident CoreQ is a set of five measures for skilled nursing care centers and assisted living communities to access satisfaction among patients, residents and their families. The short stay survey is distributed to residents after they are discharged. The long stay and assisted living surveys are distributed to all residents in the building on the date the facility chooses. Instructions and pre-paid envelopes are provided for each resident and/or family member. Staff Satisfaction Survey Consisting of 15 questions, including an open comments field, these surveys are distributed at a date determined by the facility. Individual pre-paid envelopes and typed summary reports ensure responses are kept anonymous.